Looking for a last minute winter destination or wanting to get away during your time off for the holidays? Find out why Tel Aviv Pink Winter might just be for you! 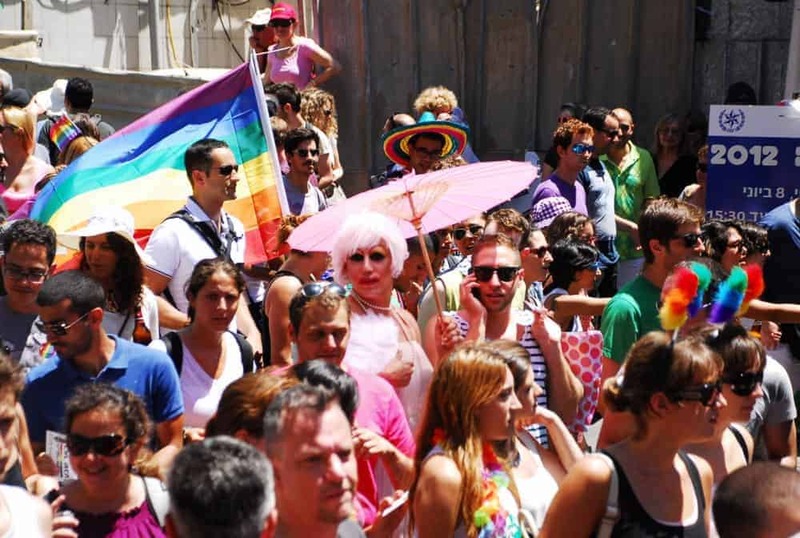 For the first time Tel Aviv will host a Winter Pride or Pink Winter as they’re calling it. The event is being hosted by the Tel Aviv-Yafo Municipality and the Israeli Ministry of Tourism and it’s scheduled to take place between Christmas Eve and the first week of the New Year – December 24th to January 5th. 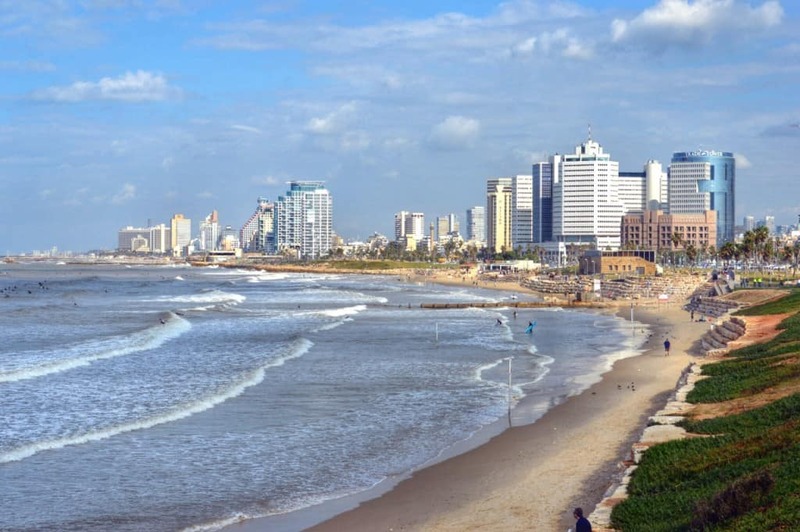 Tel Aviv is well known as a destination for LGBT travelers and the city is looking to attract visitors during the holidays when most places are dark, cold and snowy. Similar to the popular gay pride event during the summer, you can expect parties, a gay beach and a gay film festival. But in addition they’ve added a few winter elements like a Christmas tree and Hanukkah lighting, a Eurovision Song Contest, outdoor activities, and gay theater productions. The main event will focus around a street party, which Tel Aviv is world-famous for. The event is geared towards attracting foreigners but you can definitely count on plenty of locals joining in on the festivities. I recently visited Tel Aviv at the end of November with OUTstanding Travel and was overwhelmed – and not by how gay-friendly Tel Aviv is, but seriously by how straight-friendly it was and over-the-top gay. The amount of LGBT people visiting and living in the city was incredible and it has an extremely liberal and open feeling, which to me was surprising for a country that is religious at heart. The city doesn’t have a gay neighborhood per se, but many gay-friendly venues are located near Rothschild Blvd. Iconic gay-favorite properties like the Brown TLV Urban Hotel can be found in this area. Stay here if you can afford it or else just make a visit to their outdoor bar and rooftop terrace for a fashionable crowd and top-notch cocktails. Other properties nearby like the Pink House TLV cater just to LGBT travelers. If hotels don’t suit you, you can always rent an apartment in the neighborhood with AirBnB or a similar booking site. What Makes Tel Aviv Winter Pride Unique? Israel is one-of-a-kind and no place exists like it on earth. It’s a destination full of history, culture, religion and political debate. 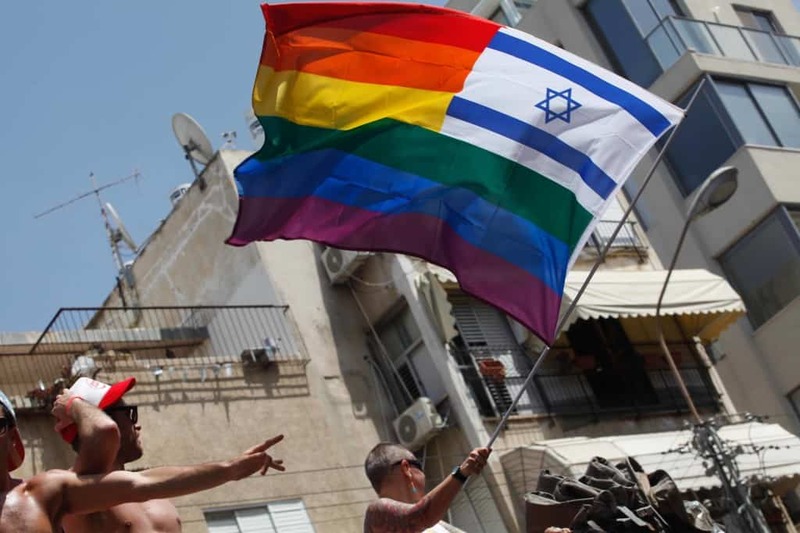 Tel Aviv has become an international city and one thing that is undeniable is that it is a welcoming place for gay locals to live and for gay visitors to feel accepted. The weather in Tel Aviv is a huge draw, especially during the winter months. In fact, my last day in Tel Aviv on December 1st could have been considered beach weather with temperatures in the low 20˚C’s (~70˚F+). So if the events and the city alone aren’t enough to convince you, perhaps the sunny and warm weather might. Looking for a Winter Escape? Flights from North America or other parts of the world may not be practical booked last minute, but European visitors can often find good deals to Tel Aviv with several budget airlines offering service including EasyJet, Vueling and Wizzair – just to name a few. If you’re looking for an excuse to visit Israel and you don’t have plans over the holidays then this could be a great opportunity to escape the winter weather at home and become acquainted with this Mediterranean hotspot. Our friends at OUTstanding Travel even offer special Gay Winter Festival packages if you decide to visit for the Pink Winter events. Would you considering visiting Tel Aviv for the Pink Winter event? Why or Why not? Let us know in the comments below! Note: OUTstanding Travel sponsored my visit to Israel. Also several links above are affiliates, which means we earn a small commission if you use them, but no obligation of course. As always, rest assured all opinions are 100% our own. OH yes…..the Amsterdam canal parade. So much fun! We haven’t done Tel Aviv but I’ve heard it’s tons of fun.